discover the harmony of body and soul in our garden Mini-wellness. Alleviate your stay by relaxation in an outdoor Finnish barrel hot tub, the soothing beneficial effect of which has been known for centuries. Regular bathing has similar effect to taking a sauna. It relieves stress and tension, eliminates fatigue, soothes the body after an exposure to physical strain, stimulates endorphin secretion and calms the whole body. Life is full of stressful events, and a hot bath can be that shoulder you need to cry on. Take a good soak and try to relax, it's known that when we feel better physically, we get more confident in ourselves, more convinced we are up to the challenges ahead. A hot tub is a great way to reduce daily anxiety as well. Very few of us are aware of just how much the body's physical state increases our levels of perceived anxiety. Soaking in a hot bath can lower your blood pressure. This is a great system for those with heart conditions who have to watch out for spikes in their blood pressure. Dipping the body in hot water to the neck is kind of an exercise for your blood vessels. This is because water creates physical pressure on the body and so increases the capacity of our heart. In other words, when we're inside the water, the heart works faster and stronger. This is not a massive undertaking, more like a light exercise. A few dips a week is an excellent work out for your heart. Most types of headaches are caused by the narrowing of blood vessels in the head. The positive effect of the hot water on our blood vessels can be used to alleviate the pressure on those blood vessels and cure our headache. Taking a bath is suitable for families with children longing for shared relaxation, for couples to experience romantic relaxation under the starry sky or for a group of friends at celebrations and outdoor get-togethers. This wellness tub is meant to use all year round. 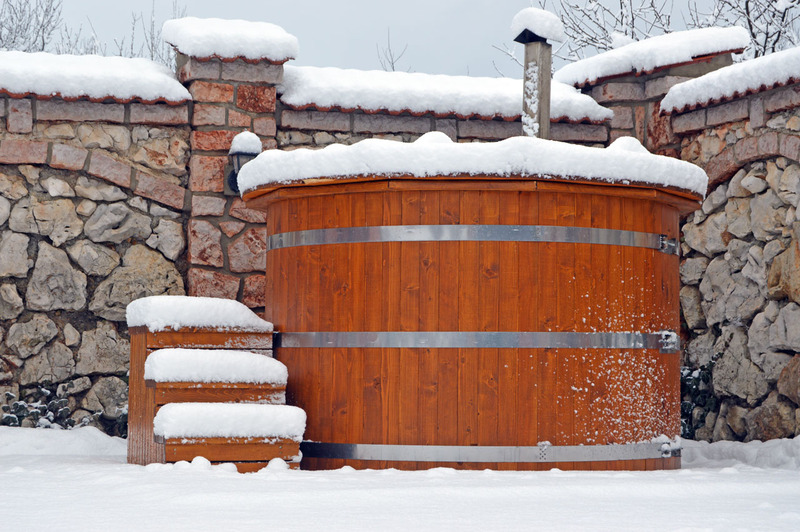 A cooling bath is ideal for hot summer evenings, a hot bath becomes much more exotic in a snow covered winter garden. 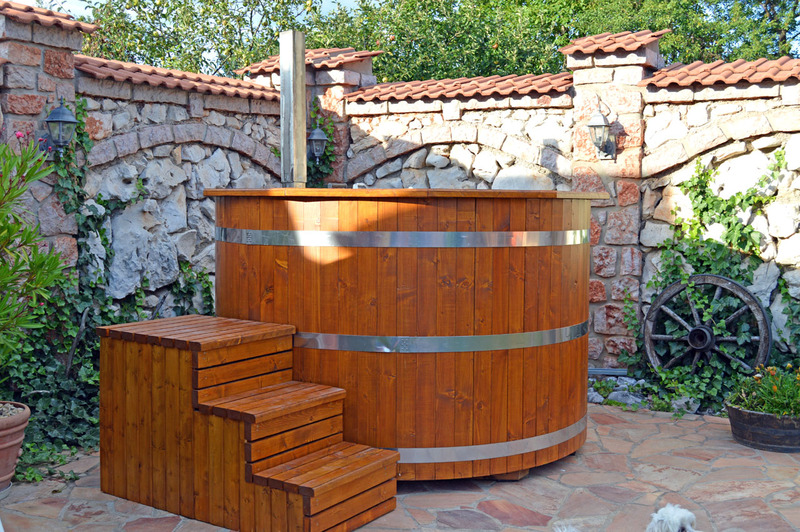 The wooden barrel hot tub is rented with clean heated water with a capacity for 6 people with an option for several types of soothing fragrances. A refreshing herbal tea is served as well. A 24 hr notice in advance is required. Apart from the hours of operation the usage has to be agreed upon. 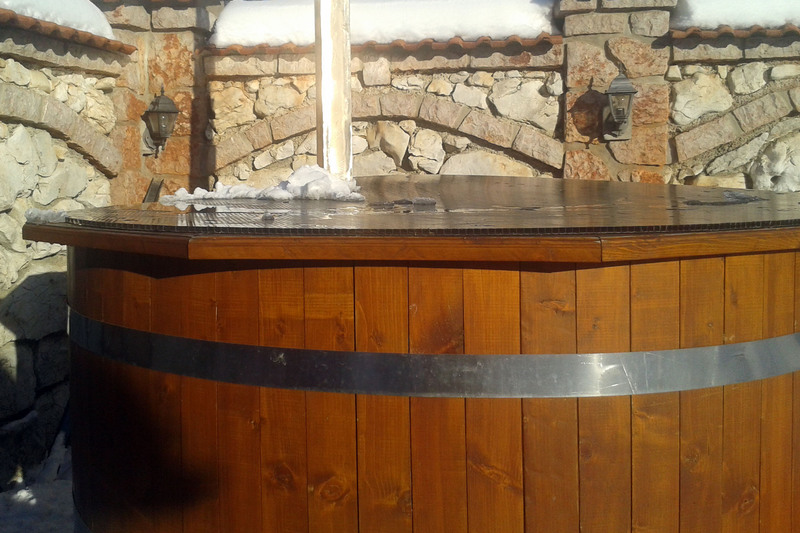 Rental of the hot tub is € 40,00 per 3 hrs. The cost of water, wood for heating, spa scents is included in the price. If you haven’t tried this Scandinavian miracle yet, now is the time!